It started with a challenge: Create something that feels big, yet can fit in the palm of your hand. 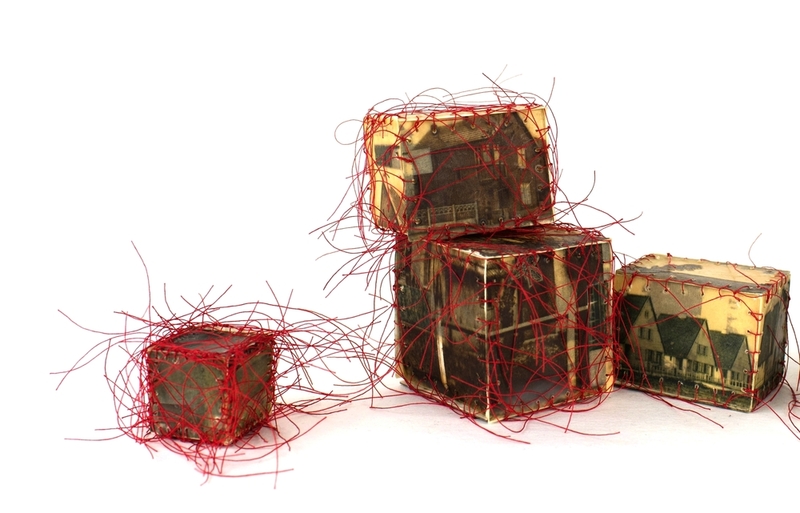 I cut six tiny squares from a old magazine page, sewed them into a little cube, left the loose threads wild. That little 1" x1" cube felt BIG! And with that, a mini-obsession began. Each cube layers images and connects dots to tell a big story in a little package. A quiet lane in a pre-war French village. Children's storybook heroes Jack and Janet searching for their lost cat. The joy of bicycle riding. 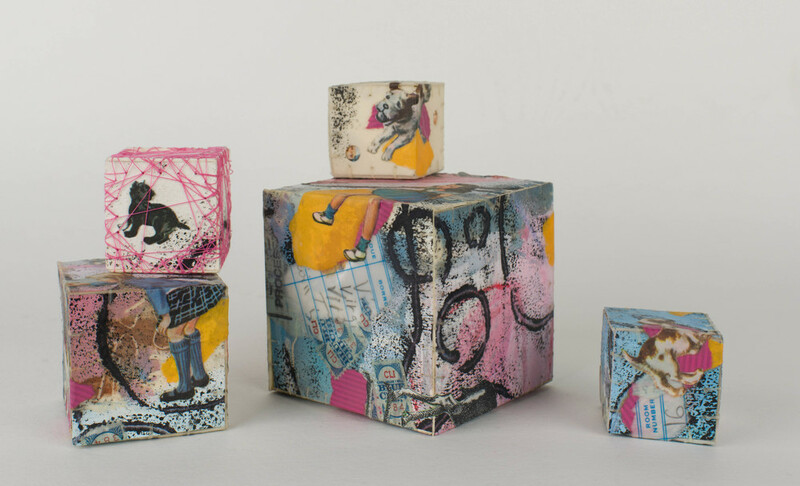 Cubes are assembled from vintage paper and other beautiful things, hand sewn with cotton or silk thread, and coated in encaustic wax for strength and stability.